Autumn leaves are picked up from sites mechanically,removed from the sites,and then put back to good use ensuring a 100% green recycling process. You can be confident that those unsightly and dangerous piles of wet and rotting leaves will be quickly and efficiently removed to avoid possible safety hazards occurring. 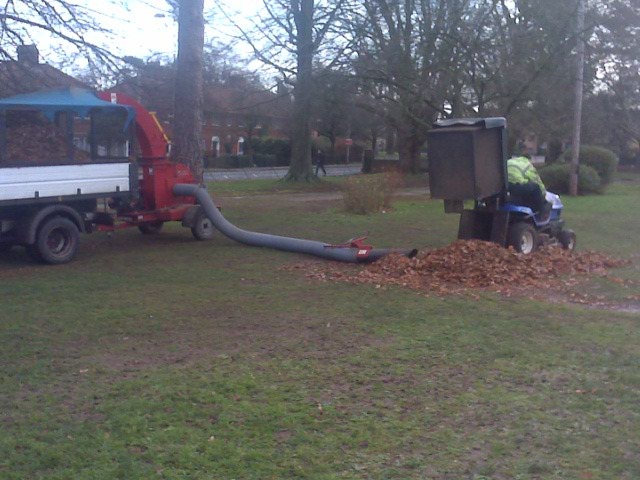 Regular leaf and debris collections from around buildings, hard-court areas, sports fields and car parks can take place. This regular seasonal maintenance work will ensure your premises remain tidy. All the green waste from leaf collection operations is completely recycled and returned to good use.